January 10, 2019 10:55 am. The 145th running of the Kentucky Derby presented by Woodford Reserve (Grade I) on Saturday, May 4 will be the richest in history as the purse for America’s greatest race and first leg of horse racing’s Triple Crown has been elevated to a guaranteed $3 million. The substantial $1 million increase to the 1 ¼-mile Kentucky Derby for 3-year-olds highlights a record-setting, 34-race stakes schedule cumulatively worth $12.03 million for Churchill Downs’ 2019 Spring Meet. Fifteen of the races received significant purse hikes, including the Old Forester Turf Classic (GI), Longines Kentucky Oaks (GI) and Humana Distaff (GI), and two new races were added to the historic Louisville racetrack’s action-packed season, which will be run over 38 dates from April 27-June 29. 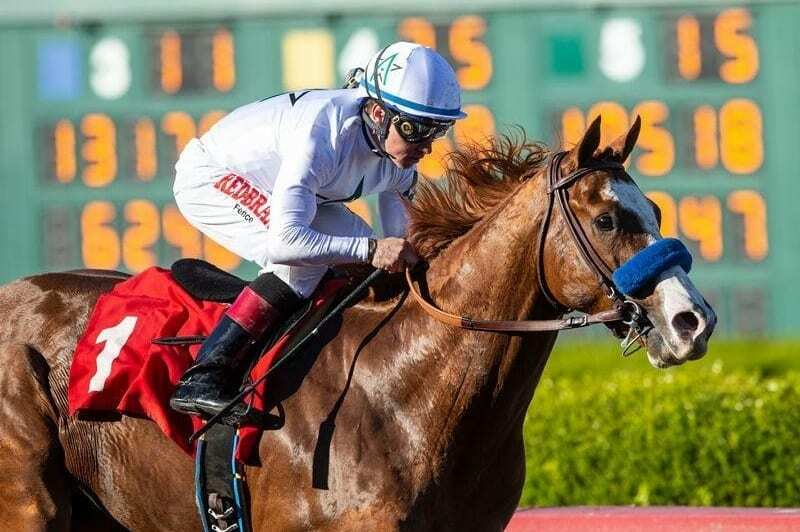 With a record $3 million in prize money now guaranteed for the Kentucky Derby, the winner will receive the event’s highly sought-after gold trophy and a $1.86 million payday. Also, $600,000 will be awarded to the runner-up, $300,000 to third, $150,000 to fourth and $90,000 to fifth. Previously, the Kentucky Derby purse had been worth $2 million since 2005, and was $1 million from 1996-2004. The 1 1/8-mile Longines Kentucky Oaks – the Derby’s sister race staged one day prior on Friday, May 3 – received a $250,000 boost to $1.25 million and remains the nation’s most lucrative race for 3-year-old fillies. It had been worth $1 million since 2011, and was worth $500,000 from 1996-2010. The race that annually precedes the Kentucky Derby, the 1 1/8-mile Old Forester Turf Classic, has been doubled from $500,000 to $1 million, making it one of the most lucrative Grade I grass races for older horses in North America and attractive to potential international competitors. Another Derby Day fixture, the seven-furlong Humana Distaff for older fillies and mares, had its purse enhanced by $200,000 from $300,000 to $500,000. All told, there will be a record 18 stakes races cumulatively worth $9.58 million staged over Kentucky Derby Week, including seven stakes totaling $6.2 million on Derby Day and six totaling $2.9 million on Oaks Day. There also will be a pair of stakes on the May 2 Thurby program and stakes races on Tuesday and Wednesday of Derby Week. The significant increases in stakes prize money are attributed to early returns from state-of-the-art historical racing machines at Derby City Gaming, Churchill Downs Incorporated’s $65 million facility that opened in mid-September at nearby 4520 Poplar Level Road. Purses at Churchill Downs in 2019 will be supercharged with more than an additional $10 million as a result of handle generated by Derby City Gaming’s initial year of operation. More than $30 million in total prize money – $12 million in stakes races and another $18 million in overnight races – is expected to be offered during this year’s Spring Meet. The first condition book of scheduled races is being finalized by Director of Racing Ben Huffman and is expected to be published in early February. Last year, Churchill Downs offered a 32-race Spring Meet stakes schedule worth $8.84 million and total purses paid during the 372-race meet was $22.2 million. The Stephen Foster (GII), the 1 1/8-mile test that has annually attracted some of the nation’s top older horses, will be worth $600,000 in 2019 and is one of four stakes that was boosted by $100,000. The others are the Longines Churchill Distaff Turf Mile (GII), American Turf presented by Ram Trucks (GII) and Pat Day Mile presented by LG&E and KU (GIII), which are now worth $400,000 apiece and run on the Derby Day undercard. Seven races received $50,000 hikes. Oaks Day’s Eight Belles (GII), Twin Spires Turf Sprint (GII), Edgewood presented by Forcht Bank (GIII) as well as mid-June’s Fleur de Lis (GII) and Wise Dan (GII) are now worth $250,000 each. The Matt Winn (GIII) and Regret (GIII) each have $150,000 purses. The Foster, Fleur de Lis, Wise Dan, Matt Winn and Regret will be run during a “Downs After Dark” nighttime program on Saturday, June 15 that features five graded stakes races under the lights cumulatively worth $1.4 million. Two $90,000-added overnight stakes races were added to the 2019 schedule: the Champions Day Marathon for older horses at 1 ½ miles on April 30, and the Mamzelle for 3-year-old fillies at five furlongs on turf on May 11. The American Graded Stakes Committee upgraded a trio of Churchill Downs stakes races for 2019 and downgraded two others. The $500,000 Churchill Downs over seven furlongs on Derby Day has been raised to Grade I status, and Oaks Day’s Twin Spires Turf Sprint was elevated to a Grade II race. Also, opening night’s $100,000 William Walker for 3-year-olds at five furlongs on turf is now a Listed stakes race. The Stephen Foster was downgraded from Grade I to Grade II, and the $100,000 Aristides lost its Grade III status to become a Listed stakes race. In other changes to the stakes schedule, the Stephen Foster, Fleur de Lis, $100,000 Old Forester Mint Julep (GIII) and $100,000 Louisville (GIII) will no longer be run under handicap conditions. Also, the distances of the Twin Spires Turf Sprint and $100,000 Unbridled Sidney (formerly an overnight stakes race and now the headliner on Thurby) have been extended from five furlongs on turf to 5 ½ furlongs on grass.